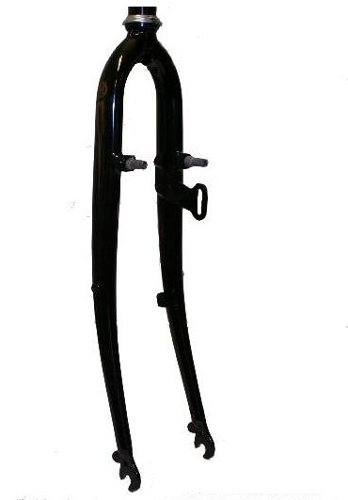 Threaded style steel fork with welded crown and braze-ons for V or Cantilever brakes, mudguards, and low-rider eyes. Includes mounting bracket for a dynamo. For 28", ETRTO 622, wheels and tyres. 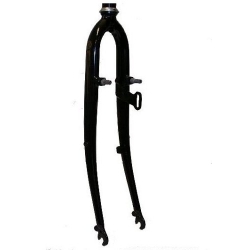 The steerer tube length is 250 mm and the thread length 140 mm. If unsure about which size of forks you need, please read our guide to tyre and wheel sizes.